Electra finally picks up Cydia support. Jailbreaking is on its last legs, but it won’t go down without a fight. One hacker just unleashed a new jailbreaking tool for iOS 11 — the first with Cydia support. 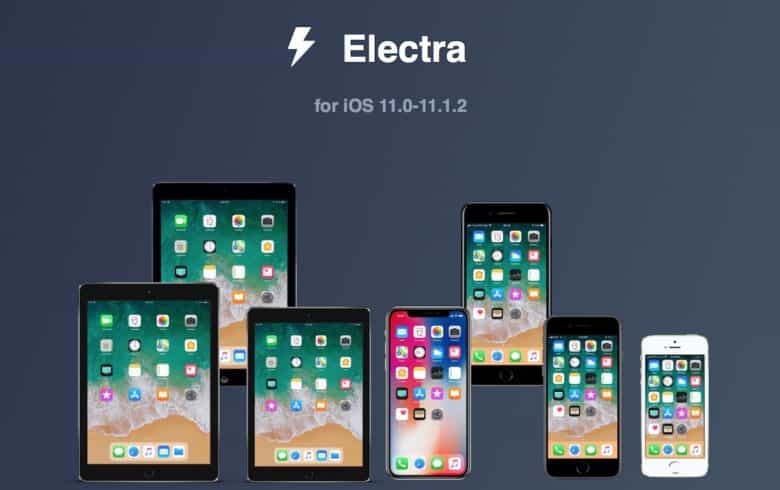 Electra 1.0.1 is compatible with all of Apple’s latest devices, including iPhone X, and all versions of iOS 11 up to iOS 11.1.2. We’ve seen a series of jailbreaks for iOS 11 since the software made its public debut last September, but they all lacked Cydia support. Without this third-party App Store, they were almost useless to the average iPhone or iPad user. But not anymore. A new version of Electra — the first “final” release — is now available with Cydia support. That means you can finally use it to install unauthorized apps and tweaks on your iOS device. It also comes with a built-in theme engine, SSH support, and a safe mode. Electra is everything you could want in a jailbreak, and it’s compatible with all iPhones and iPads running iOS 11 to iOS 11.1.2. To use it, you simply side-load the app onto your device using a Mac or Windows PC, then run it inside iOS. Before you get too accustomed to jailbreaking, however, you should be aware that Cydia is dying out. Two of its biggest repositories closed down late last year, leaving BigBoss as the only major source for apps and tweaks. That’s because jailbreaking is nowhere near as popular as it once was. Over the years, iOS has adopted a lot of the features that iPhone and iPad users had to jailbreak to get their hands on. Apple has also made it more difficult for hackers to create jailbreaking tools. Those who were once big jailbreaking fans find they no longer need third-party software — and that it’s easy to just use iOS as it comes. Even the biggest hackers in the community have admitted jailbreaking is dying a slow death. “It used to be that you got killer features that almost were the reason you owned the phone. And now you get a small minor modification,” Cydia creator Jay Freeman told Motherboard last June. “I feel like jailbreak’s basically dead at this point,” added Nicholas Allegra, the hacker known as Comex. If that doesn’t put your off, Electra 1.0.1 is now available to download from GitHub. Our installation guide will take you through the jailbreaking process step-by-step.